Think back to some of the happiest times in your life. Chances are that these are also the days when you felt your most confident. Maybe you excelled at sports during that time, or you aced a project at work or school. Confidence can be a huge happiness booster. But why wait for something good to happen in your life? 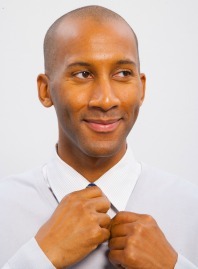 Why not work on boosting your self-confidence, which will increase your feeling of happiness. There are all sorts of things you can do to boost your confidence. We’ll run through a few of them here. I also encourage you to read up on the topic, pay attention to times when you’re feeling more confident, and then work out a plan to intentionally boost your self-confidence based on your own research and experience. Remember, we’re building habits, and confidence goes hand-in-hand with happiness! General confidence boosters include words of encouragement, seeing how far you’ve come, listening to some upbeat music, going out for a run, and dealing with failure in a positive way. Give each of those and any other interesting confidence boosting tip you come across a try. Then sit back and notice how much confidence impacts overall happiness. The problem with boosting confidence is that people tend to respond to different strategies, techniques, and events. Some thrive on words of encouragement, while others want to see results, or feel a boost from the kind actions from others. Are you the type of person who puts more meaning into a kind word from your boss, a raise, or a promotion? Or how about some public recognition at the latest company meeting? We all have different confidence triggers and the trick is to figure out what yours is and how you can get more of those types of boosts. If you respond well to compliments and words of encouragement, call a friend or anyone else in your life who makes a great cheerleader. Ask supporters for those positive verbal affirmations whenever you need a little boost. Keep a positivity journal so you can look back and see how much progress you’ve made. This is particularly sound advice if you’re trying to change your life, your habits, or make progress on a long-term project. Being able to flip back and see how far you’ve come can be very encouraging. Cranking up some tunes, or heading outside for a little fresh air and exercise can be another great way to boost your confidence and your mood. Combine the two for even better results. Last but not least, figure out how to deal with failure. When things go wrong – and let’s face it, they will sooner or later – you can either allow it to bring you down and undermine your confidence, or you can look at it as a learning experience. Guess which view is better for your self-esteem? I hope you take these suggestions to heart and make an effort to work on your confidence. Not only will it make you a happier person, you also get more done, and become more successful in the long run.